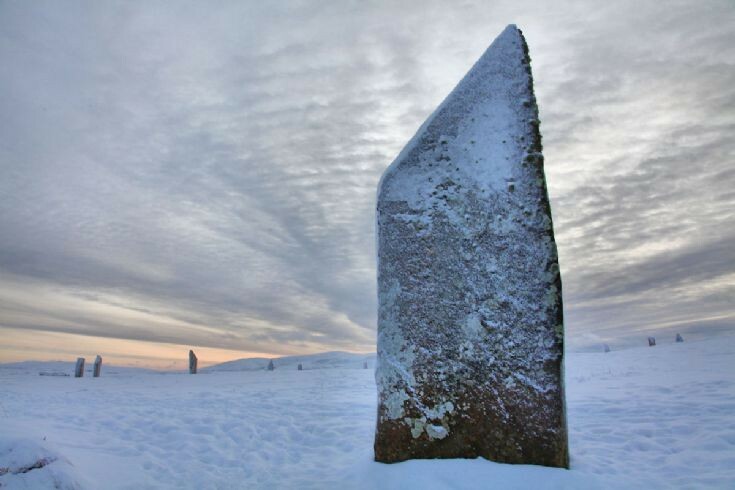 Ring of Brodgar - Boxing Day 2010 - great sky and a wee bit warmer than a dip in the water at Scapa! I love this Picture, may I display it on my facebook page .. The stone looks as though it's floating in the air..